It’s only the middle of the month, and Xbox Game Pass has added a bundle of new games to their catalogue. Six new games are already added since the month began, and more are on the way. Over the next two weeks, four new games will be added to the over 100 available titles. 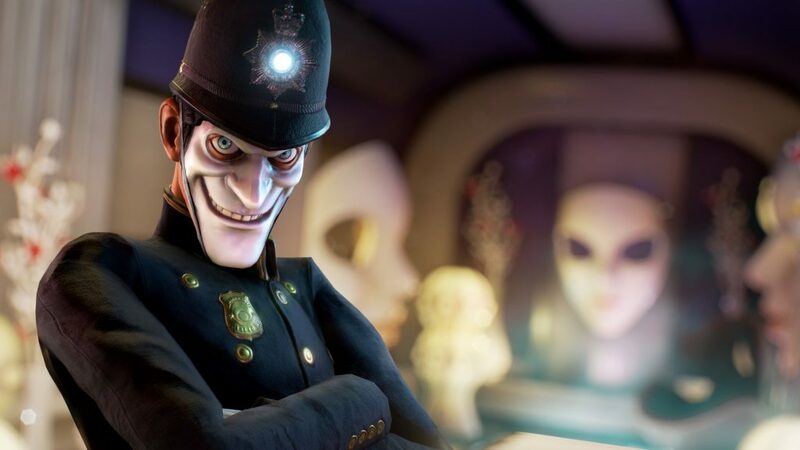 For any fans out there, We Happy Few is is about as close as you can get to A Clockwork Orange video game. Set in 1960s England, you are one of a bunch of anti-conformity ruffians known as a “Downer”. The rest of the world shuffles along, following the rules, taking a drug called “Joy”, and living a mundane life. Fight, hide or “conform” to escape the delusional masses in this action/adventure game. Play through the events of the award-winning LEGO Movie in this funny, adventure-filled romp. You’ll play as “Emmet”, the unlikely hero of the film. The funny thing is by mistake, he’s assigned the very important job of saving the world! The game is as hilarious and entertaining as the movie and there are even unexpected moments that you haven’t seen before. With over 90 playable characters this is a LEGO game you don’t want to miss. Middle-earth: Shadow of Mordor won Game Of The Year in the action/adventure category at The Game Awards in 2014. It also only lost to Dragon Age: Inquisition in the overall best game category. Now it’s yours to play for free as a Game Pass member. Taking place in the same J. R. R. Tolkien-created universe as The Hobbit, and The Lord of the Rings, you’ll play as a Ranger seeking to avenge his dead loved ones. In other words, there will be a lot of brutal, exciting Orc hack n’ slashing with a fun and intuitive combat system. But the action isn’t the only reason this game has such great reviews. The story is gripping and intricately woven into the gameplay, and a feature called the “Nemesis System” keeps the game thrilling. This system generates the Orcs you’re hunting, meaning they’re all unique from their name to their abilities. It may be hard to believe, but the Saints Row series is a more extreme, more over-the-top, and more hilarious GTA. Saints Row: The Third takes the open-world crime-drama formula that Rockstar is so good at but cranks everything up to 11. In Saints Row: The Third, it’s your job to protect what the Third Street Saints gang has earned. A global crime organisation known as the Syndicate wants to destroy the Saints name, ruin their reputation, and steal their turf… that can’t happen. This game is wild, wacky, and doesn’t take itself too seriously. The most important thing is it’s super fun to play. If you thought GTA games let you do “anything” you want, you’re in for a treat with Saints Row. We didn’t cover this on our blog, so in case you missed it, Ultimate Marvel vs. Capcom 3 dropped last week and is now playable! The ultimate fighting game returns, packed with all previous DLC ever released, and all the characters from the Marvel vs. Capcom: Official Complete Works. Ultimate Marvel vs. Capcom 3 features fast-paced 3 vs. 3 tag-team battles, allowing you to do battle as some of the most iconic heroes in the world. After you’ve practiced a bit, take your skills online and battle other players… and then realise you need to go back and practice some more. All the games above will be available to play for Xbox Game Pass members. If you’re new to how Game Pass works, it’s pretty much like Netflix for games. You pay one monthly price and you get access to over 100 games (with new ones added monthly). You can enjoy every game in the Game Pass catalogue 24 hours a day, for as long as you are a member. Also, Game Pass members get access to Xbox exclusive titles on the day they release. You can play games like the ultra-popular Forza Horizon 4 and the upcoming Crackdown 3.